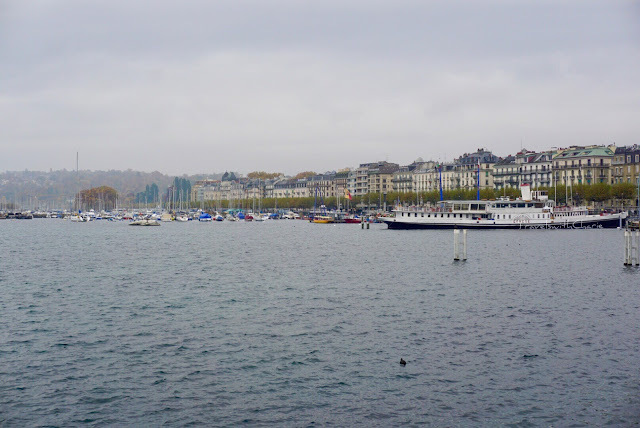 How much independent sightseeing could one pack into an afternoon in Geneva? Factor in the rain and the early sunset and the answer is, not much. But it has been decades since I first visited Geneva and got lost in the city on the way to meet a friend who had our rental car. That was a nightmare! Yes, we did find each other eventually and drove on to complete our grand tour of Europe. I really wanted to see Geneva again and I had two things to check off on my itinerary. The first one was to go up to the old town and the other, to walk along Lake Leman. Trying to do more would have been a challenge with my bad knee. I didn't realize though that the Cathedral of Saint Pierre was up on a hill so I had to work my legs a little harder but thankfully, it wasn't as steep as the other hills I climbed in Annecy. 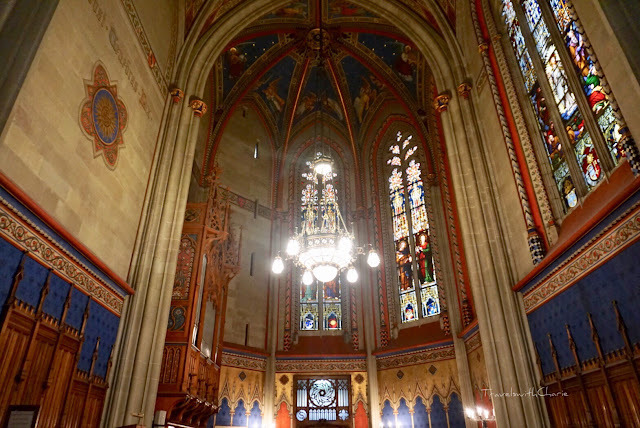 The highlight of the Cathedral is the colorful Chapel of the Maccabees which was the tomb of a cardinal when Saint Pierre was a Catholic Church. It is in stark contrast to the austerity of the main nave of the Cathedral. 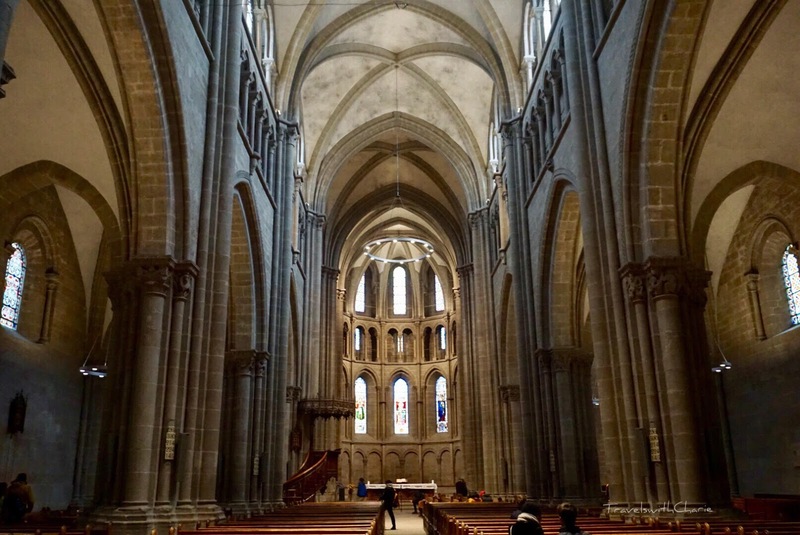 Saint Pierre or St. Peter Cathedral was constructed between 1160-1252. 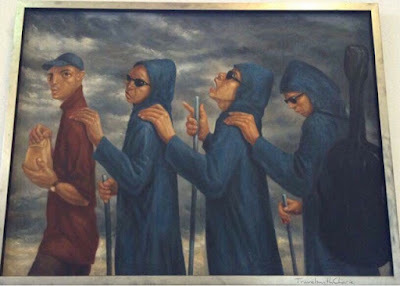 It became the Reformed Church in the 16th century when the original church was stripped of its Catholic identity. 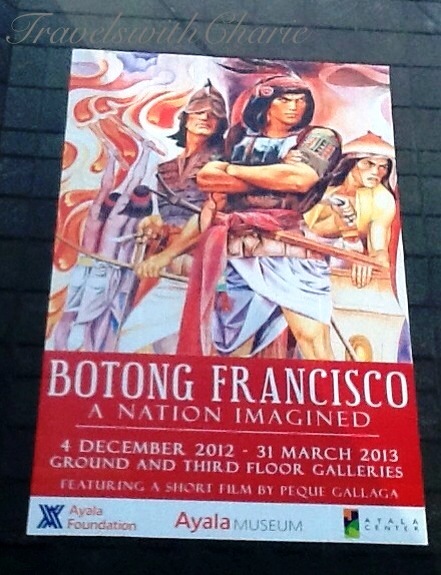 The altars, paintings and statues were destroyed by the Reformists. John Calvin preached here and the stool where he sat is still there. The two towers of the Cathedral are open to the public for a fee. The reward is a 360-degree view of the city and the lake. Saint Pierre is on Place du Bourg de Four. 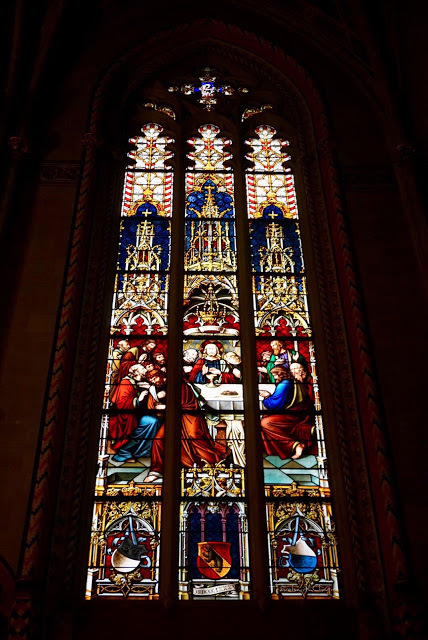 One of the stained glass windows in the Chapel of the Maccabees depicts the Last Supper. On the bottom and center square is the coat of arms of Bern, with a black bear walking upwards on a yellow band against a red field. Strange that the crest is not that of Geneva? It was drizzling all afternoon in this French speaking city. It turned to rain in late afternoon. The overcast skies were of no help when I was hoping for stunning photos of the lake. 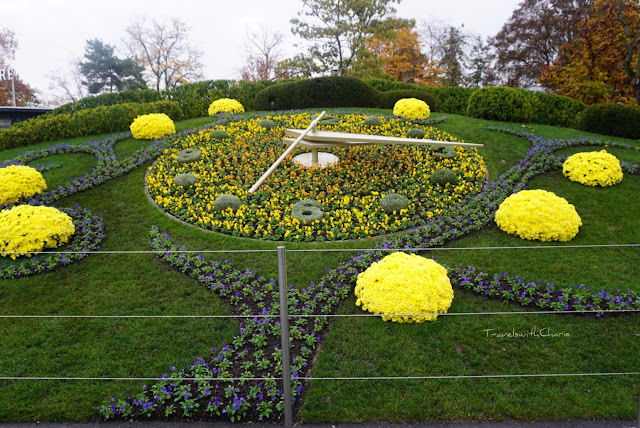 The one bright spot was the flower clock in the Jardin Anglais (English Garden) where everyone congregated for selfies. 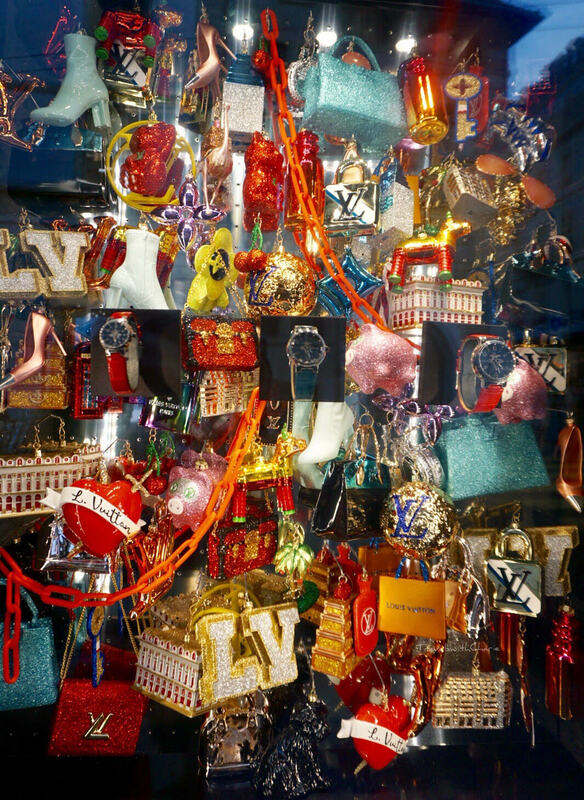 On my way back to the hotel, I passed by this Louis Vuitton Christmas window display on toney Rue du Rhône. “All I want for Christmas is ....…”. 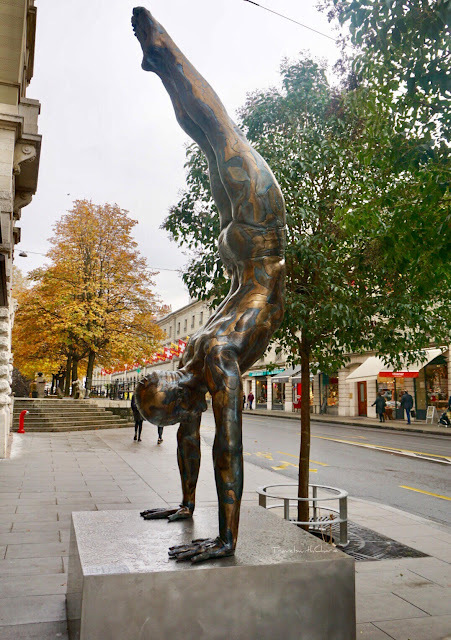 I found this beautiful bronze sculpture while trying to navigate my way to Zurich’s old town. It's on Rue de la Corraterie. The Golden Mean is the work of renowned New York based hyperrealist sculptor, Carole Feuerman. What an amazing composition of human form it is! At the end of the day, I wasn't singing in the rain but I was happy with the little discoveries I made in Geneva. I chose this place for its close proximity to Cornavin Station. I had to catch a train to Interlaken the following day so it was convenient. Breakfast is included and they had the best breakfast selections. I found hotels to be more expensive in Switzerland than in other European countries with the exception of Interlaken (possibly because I arrived before the skiing season).